Standard and custom designed chillers for the Photonics industry. 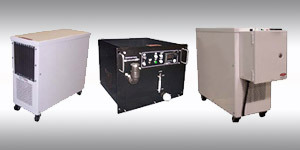 Chillers and Heat Exchangers for Military, Aerospace, and Defense - fixed or portable, rugged, and “flight ready”. The OptiShield family of corrosion inhibitors has been specifically formulated to control corrosion in cooling systems. 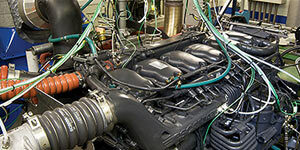 Innovative industrial chillers, air cooled chillers and heat exchangers for commercial, industrial, military, and laboratory applications, designed and manufactured by Opti Temp, Inc. Our commercial chillers and heat exchangers generally target processes requiring well-engineered, reliable, tightly controlled applications. Opti Temp's chillers and heat exchangers feature an “Advanced Refrigeration Capacity Control” (ARC). This industry leading patented refrigeration circuitry provides several exclusive advantages over traditional temperature control methods. Opti Temp manufactures a wide range of industrial chillers that use this technology, including water chillers, air cooled chillers, portable chillers, rack mounted chillers and heat exchangers. 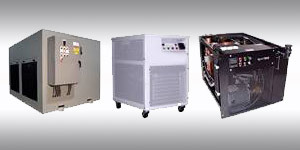 Opti Temp designs and manufactures custom refrigerated chillers and non-refrigerated heat exchangers. The efficient, mechanically simple and quiet way to convey material to your molding machine. 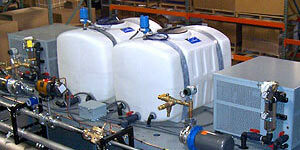 Opti Temp designs and manufactures mold temperature controllers for plastic industry applications.